The former Conservative senator who helped design Ontario's basic income pilot project says the PCs are making a mistake scrapping the program. The former Conservative senator who helped design Ontario's basic income pilot project says scrapping the program is a "horrific" mistake, which will turn back the significant progress made by thousands of people in the program. 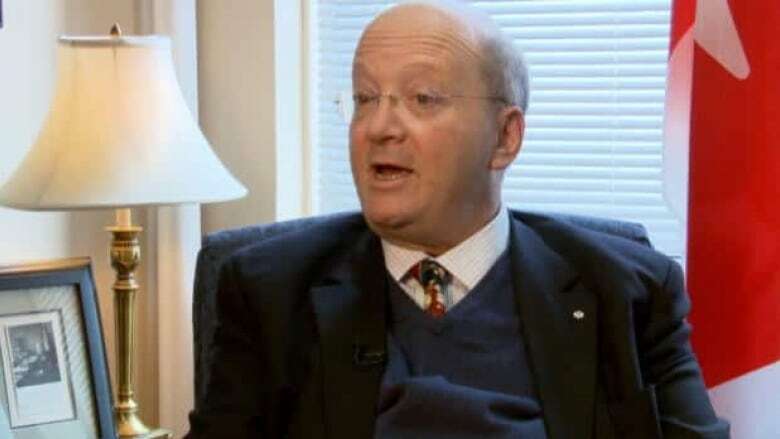 "I am embarrassed as a Progressive Conservative," Hugh Segal told CBC Radio's Ottawa Morning. The pilot project, started in April 2017 and originally set to last three years, aimed to explore the effectiveness of providing a basic income to those living on low incomes — whether they were working or not. Children, Community and Social Services Minister Lisa MacLeod announced Tuesday the program will be scrapped, as part of the new government's plan to reform social assistance in Ontario. "Being trashed in this way is bad public policy," said Segal, who is now the head of Massey College in Toronto. "It's, in fact, setting aside the very evidence that would have allowed the present government to decide on how it wanted to proceed." Under the project, a single person could have received up to about $17,000 a year, minus half of any income he or she earned. The maximum for a couple was about $24,000. People with disabilities could have received an extra $6,000. Almost 4,000 households in five communities across Ontario were enrolled in the program, in Thunder Bay, Lindsay, Hamilton, Brantford and Brant County. "The 4,000 ... who were guaranteed by the government that their situation would not be worse off for having signed up, they are now in a very difficult circumstance," Segal said. "People were going back to school. People had ... improved the quality of their apartment. They were doing small things with the extra money to improve the quality of their life. "Now that has been rent asunder and a lot of people are going to be in great distress." Segal said his traditional view of progressive conservatism has always understood the importance of social justice and equality of opportunity. "Clearly it's of no value to this government," Segal said. Prior to the election, the PCs indicated they would see the program through to its conclusion. "It's also the violation of a very clear promise," Segal said. "[It's a] clear violation of commitments made by this government, very quickly, early on." While working on the research for the program, Segal said he met with the leaders of both opposition parties to discuss the nature of the program and its aim. "It's about getting people back to work.... they both agreed, to their credit, that they would not be critical of the pilot until the results are out. Then they would look at the evidence and come to a rational decision." At a news conference Tuesday, MacLeod did not say how long people currently in the program can expect to receive payments. "I think having made this horrific decision," Segal said, "the government has a primary duty to make sure those people [affected] are treated fairly."